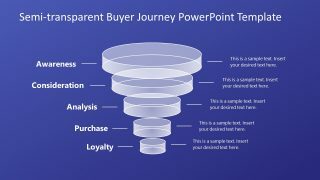 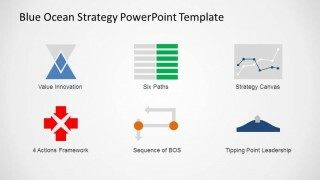 Blue Ocean Strategy PowerPoint Template is a professional and modern presentation for the description or explanation of the Blue Ocean Strategy Theory. 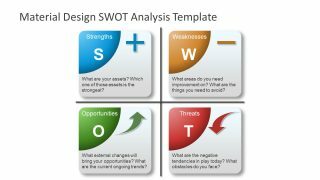 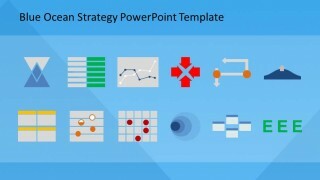 This Templates provides iconography and diagrams to work with the Blue Ocean Strategy Tools. 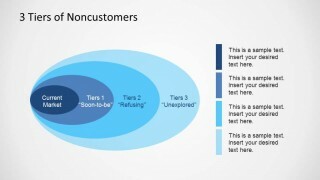 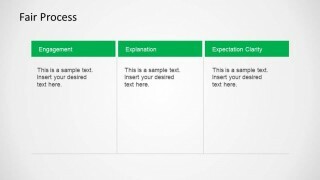 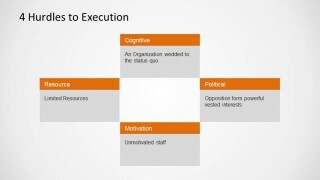 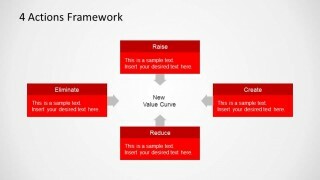 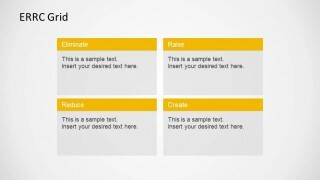 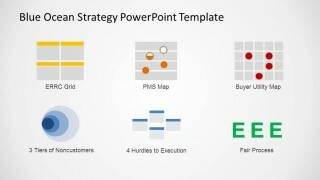 Each Tool has a Slide for the description and application within the Strategy Analysis. 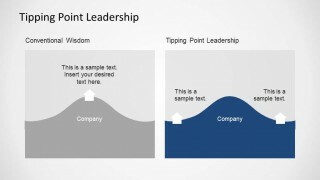 The born of the Blue Ocean Strategy Model appeared with the publishing of the book of the same name, written by W. Chan Kim and Renée Mauborgne in 2005. 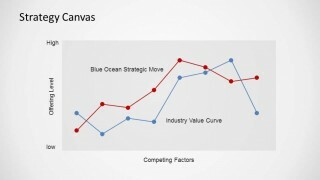 The core idea of the Blue Ocean Strategy is to make the competition irrelevant and create new market space to exploit. 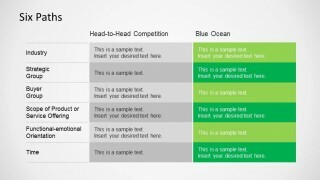 The traditional competitive Markets are a hostile environment, where the metaphor of blood in the water (Read Ocean) represents them. 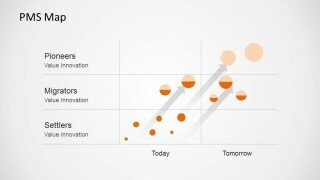 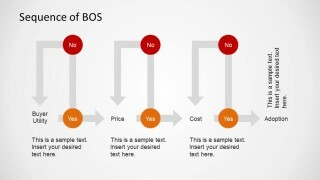 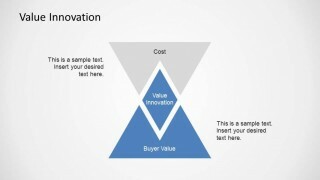 Competitors fight to increase their market share with the traditional competitive strategies techniques like differentiation and low cost. 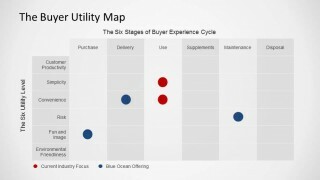 In the other hand, the new markets where competition still does not exists (Blue Oceans) is where the company strategy need to focus, where the market is fruitful and customers demand is fulfilled by the first arrival. 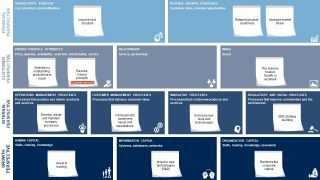 The interesting side of the story is that Blue Oceans (or fruitful markets) need to be discovered, and generally require a disruption to appear. 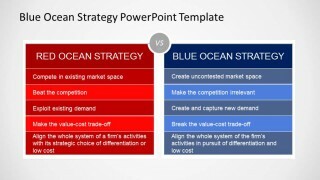 The Blue Ocean Strategy Theory describe a set of Business Strategy tools that provides to the Companies the ability to explore , create and exploit Blue Oceans, and afterwards, generate barriers to maintain them. 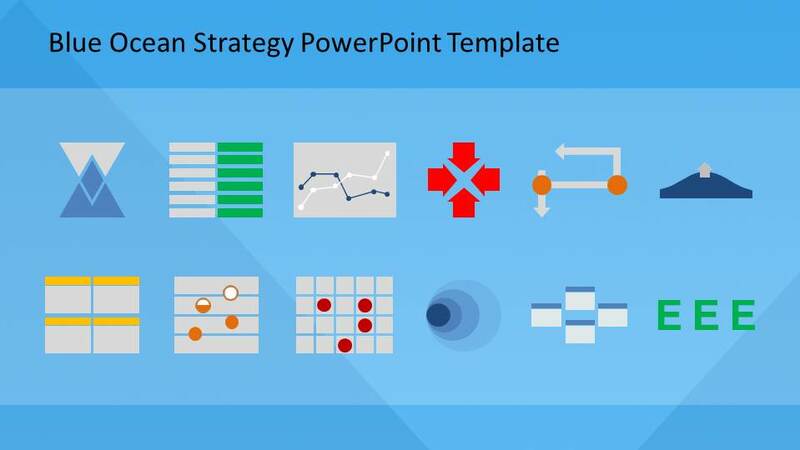 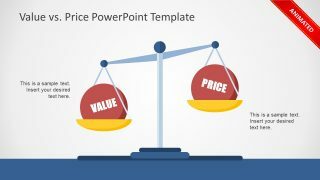 The Blue Ocean Strategy PowerPoint Template provides one slide per Tool, allowing the presenter to describe its analysis with predefined shape that can be completed with the specific analysis information. 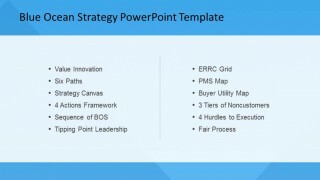 This Template is ideal for presenting Blue Ocean Strategy analysis and conclusion, specific tools application, or just a business strategy lecture.